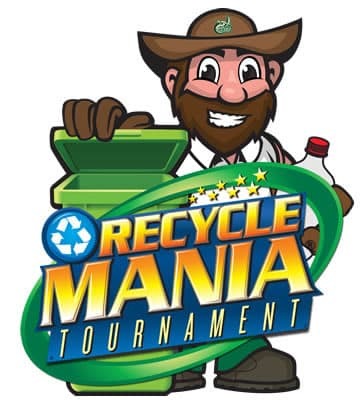 For the second year in a row, UNC Charlotte is participating in RecycleMania, which began Feb. 3 and runs through March 30. Colleges and universities across the United States and Canada compete in this event, including seven from the UNC System. To increase the University’s overall diversion rate from 25 to 28 percent. Last year, 25 percent of waste was recycled and the remaining went to the landfill. That 3 percent increase would require the University to recycle an additional 13,000 pounds. To achieve these goals, the Office of Waste Reduction and Recycling encourages the campus community to consciously recycle their waste by using appropriately labeled indoor and outdoor bins, the Weird Recycling Center and the Packing Center in the Prospector. Several events will be hosted throughout the competition to keep the campus involved. Additional social media and pop-up events will occur. Outdoor waste audit in the plaza between CHHS/Cato College - Recycling staff and student volunteers will sort through a nearby classroom’s waste to publicly show the success rate of how well students recycle. This event will serve as a visual introduction to how the recycling staff sorts through campus waste on a regular basis. It is scheduled for 9:30 a.m. to noon, Thursday, Feb. 21. Holshouser Hall Recycling Competition - Residents in Holshouser Hall will participate in a two-week competition to see which floor can recycle the most waste. Winners will receive a pizza party. Learn more about recycling at UNC Charlotte; follow Instagram and Twitter to stay up-to-date on the University’s rankings and view upcoming events.